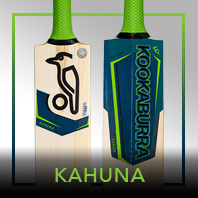 Kookaburra have as ever released a spectacular range of cricket bats for the 2019 cricket season, including the ever present but newly designed Kahuna. After a very popular 2019 the Blaze if back but with newly designed graphics. 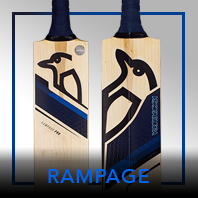 Surge and Ghost are also both still in the range but have also been given a fresh look by Kookaburra for this season. 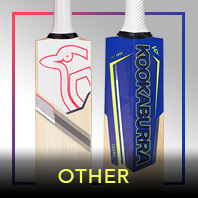 New for 2019 is the Kookaburra Fever with is strking design this is guranteed to be a big hit this season, Fever has been deleloped by Kookaburra to have a massive impaact both in appearance and profile. All Kookaburra 2019 bats conform the MCC Law 5. 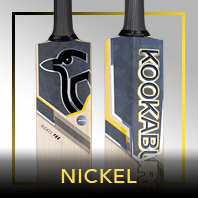 Brand new for 2019 the Kookaburra Fever range is something completely different in design to other Kookaburra bats and has been designed for impact both in profile and appearance. 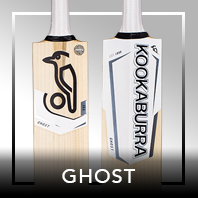 Kookaburra Surge and Ghost have both been rediesigned for 2019 and are available in a number of willow grading's making them the perfect choice for all abilities and budgets.